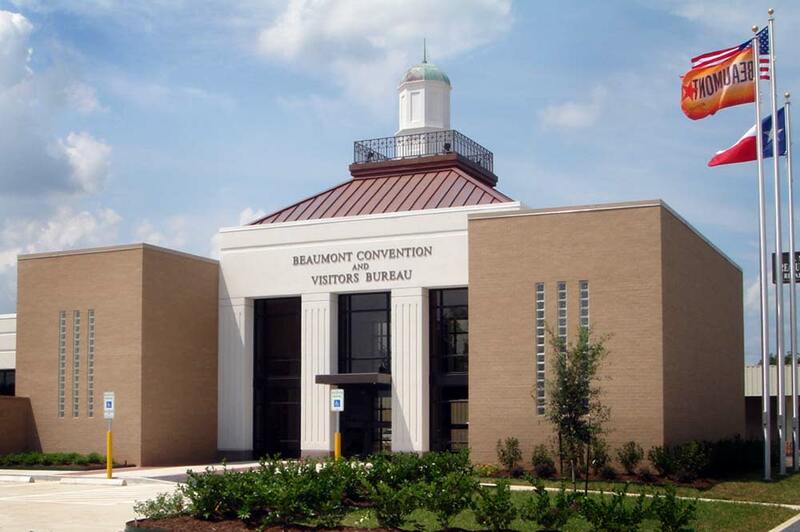 The Beaumont Convention and Visitors Bureau is proud to announce its winnings in the Texas Association of Convention & Visitors Bureaus (TACVB) Idea Fair at the organization’s annual conference in El Paso last week. The TACVB Idea Fair is held each year in conjunction with the group’s annual conference to allow convention and visitors bureaus throughout the State of Texas to bring their best ideas, campaigns, projects and products and share them with others. These projects are entered into one of nine different categories ranging from convention sales promotions to cooperative marketing initiatives and websites. During the annual conference, 250-plus destination marketing professionals vote for their favorite ideas; then a team of judges cast their votes to determine the best in the industry. Ideas are judged for originality, cost-saving strategies, visual appeal and methods of implementation within three overall budget groupings/categories. Convention Promotion - Beaumont promoted the TACVB Midwinter 2016 Conference, a Midwinter Adventure. To generate buzz and boost interest at the bid for Midwinter 2016, the CVB staff dressed as vintage airline attendants. In character, the crew passed out themed boarding passes to save the date and provided hospitality - peanuts and beverages. The Captain and Crew invited TACVB Annual Conference attendees to start planning their departures for Midwinter. TACVB’s Study Tours were marketed as various excursions and the vintage travel theme was carried throughout the presentation. See the marketing video here. Sports Marketing - Beaumont’s Sports Facility Guide serves as new collateral material to showcase the destination’s sports facilities and help book future business. Starting with an inventory of facilities, CVB marketing staff wrote descriptive copy, created facility diagrams and commissioned professional photos taken for all highlighted venues. The guide’s creative theme, “famously good” pays tribute to Beaumont’s numerous homegrown athletic legends and serves up destination unique selling points. View Beaumont’s Sports Facility Guide here. Tourism Promotion - Completed in mid-July, Cattail Marsh Scenic Wetlands Boardwalk offers birders and nature enthusiasts a new way to experience the Marsh. The Beaumont CVB Tourism Department led this project after years of development and held the Official Dedication and Grand Opening July 26. The boardwalk will be a feature for press trips, group tours, birding events and photography tours. Learn more about Cattail Marsh Scenic Wetlands here. In addition to winning the People’s Choice awards for these categories, the Beaumont CVB also took home People’s Choice Overall in Tourism Promotion and Judges Choice awards for Convention Promotion & Sports Marketing. “Our efforts with the Cattail Marsh Boardwalk project continue to be rewarding. From the Official Dedication & Grand Opening just a few weeks ago, to being recognized for our efforts by our peers at TACVB’s Annual Conference. The hope is that our project inspires similar initiatives throughout Texas, just as we have often been inspired by the many unique and creative ideas we have seen in the annual Idea Fair,” said Elizabeth Eddins, Director of Tourism. 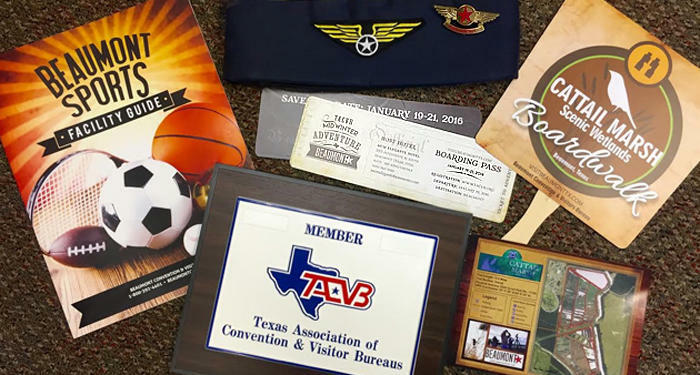 The Texas Association of Convention & Visitor Bureaus is the largest association of CVBs in the nation and was organized in 1972 for the purpose of providing cooperative action to enhance and encourage the growth of the convention and visitor industry in Texas. Specifically, this is pursued by encouraging cooperation among Texas CVBs and the Texas travel industry; by maintaining standards of professionalism; by cooperating in the exchange of information between TACVB members; by developing an awareness of legislative action and unifying public relations activities and by providing educational opportunities. For additional information please visit www.tacvb.org.